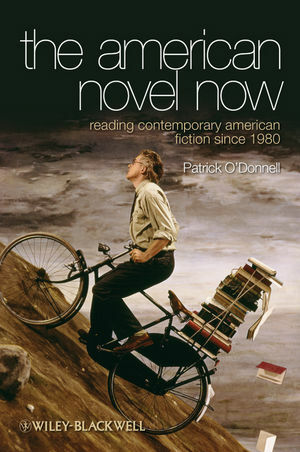 The American Novel Now navigates the vast terrain of the American novel since 1980, exploring issues of identity, history, family, nation, and aesthetics, as well as cultural movements and narrative strategies from over seventy different authors and novels. Patrick O'Donnell is Professor of English and American Literature at Michigan State University, where he served as department chair from 1997 to 2007. He has written and edited a number of books and collections on contemporary American fiction and film, including Latent Destinies: Cultural Paranoia in Contemporary U.S. Fiction (2000), Echo Chambers: Figuring Voice in Modern Narrative (1992), Passionate Doubts: Designs of Interpretation in Contemporary American Fiction (1986), and New Essays on The Crying of Lot 49 (edited, 1991). He is an associate editor of The Columbia History of the American Novel (1991), a former editor of Modern Fiction Studies, and a co-editor of The Encyclopedia of Twentieth Century American Fiction (forthcoming from Wiley-Blackwell). Part II: From New Realisms to Postmodernism. Catastrophe: The Ends of History. Part V: Relations Stopping Nowhere. Nation and Migration: From There to Here.